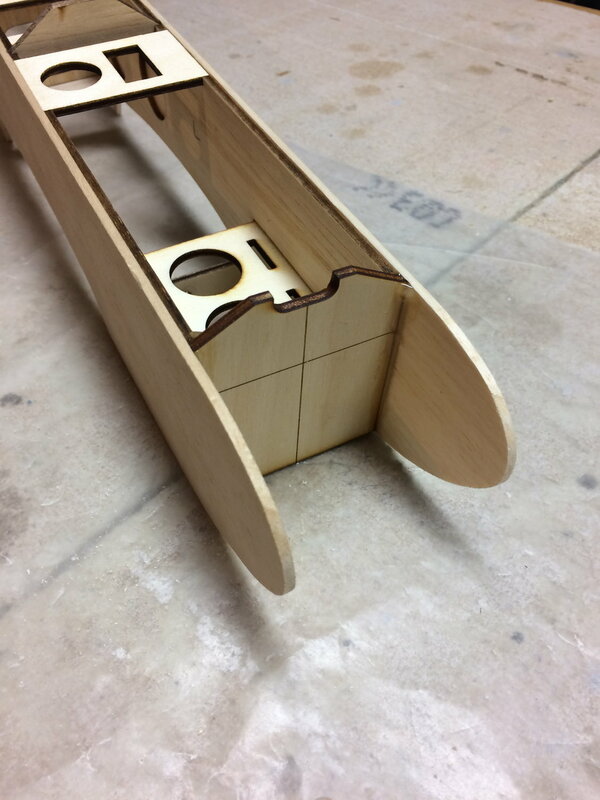 Besides the parts that are shown on the plans I made a shelf for the fuel tank, and a mounting plate for the servos. 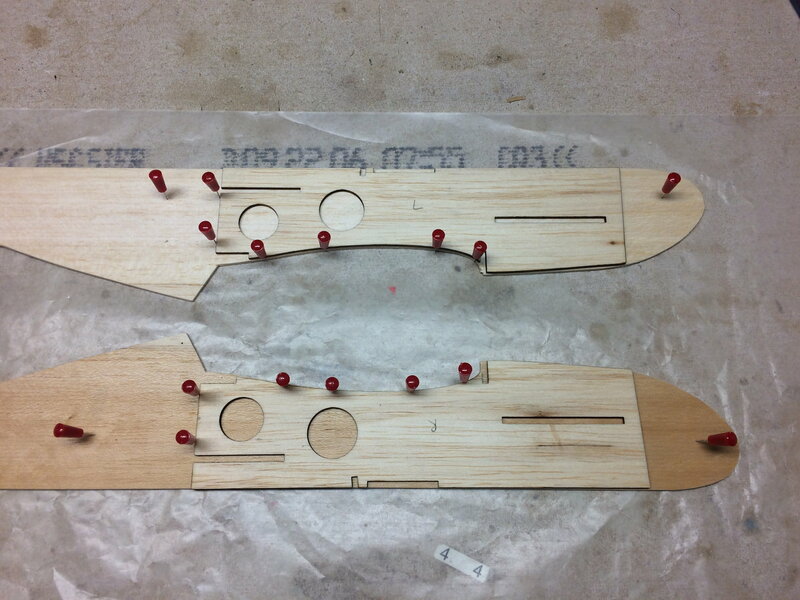 The servo mounting plate doubles as an alignment jig to ensure that F4 and the fuselage halves are properly aligned. I also made sure that the right and left fuselage doublers also had 2-degrees of down and right thrust. 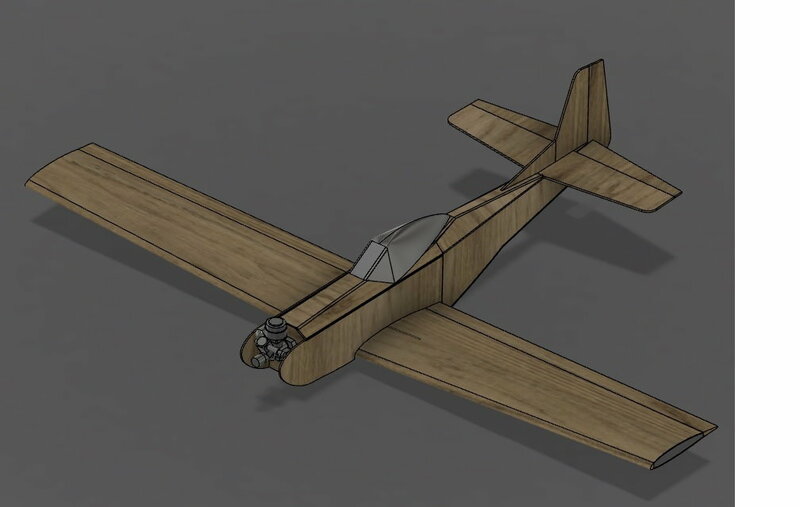 The most significant change to the original design is the wing, I used a Selig airfoil rather than the original airfoil. 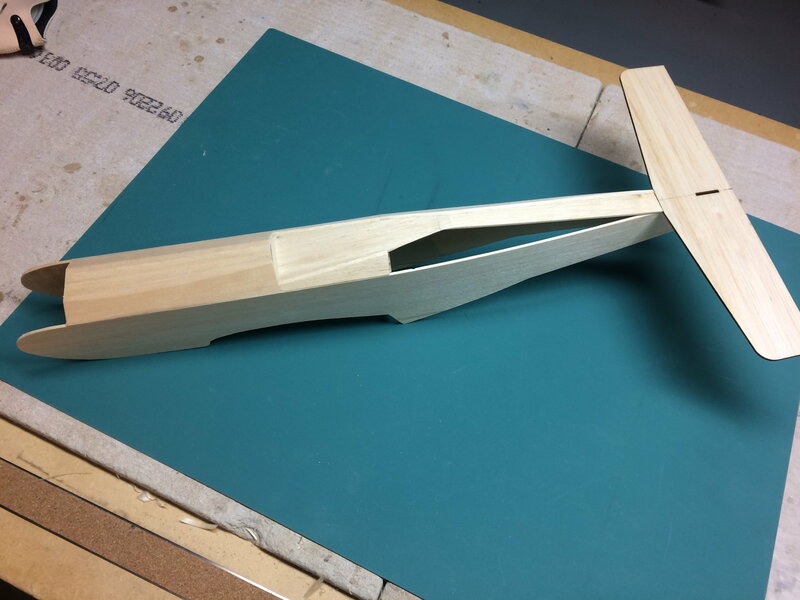 I thought this would be a good project to test a purpose designed airfoil, an airfoil designed for model aircraft operating at very low Re numbers. The other obvious change is the addition of wing sheeting. I hope this doesn't make the wing too heavy, but it was necessary given that foam I have on hand to cut the wing cores (EPS foam insulation I bought at my local home improvement store). 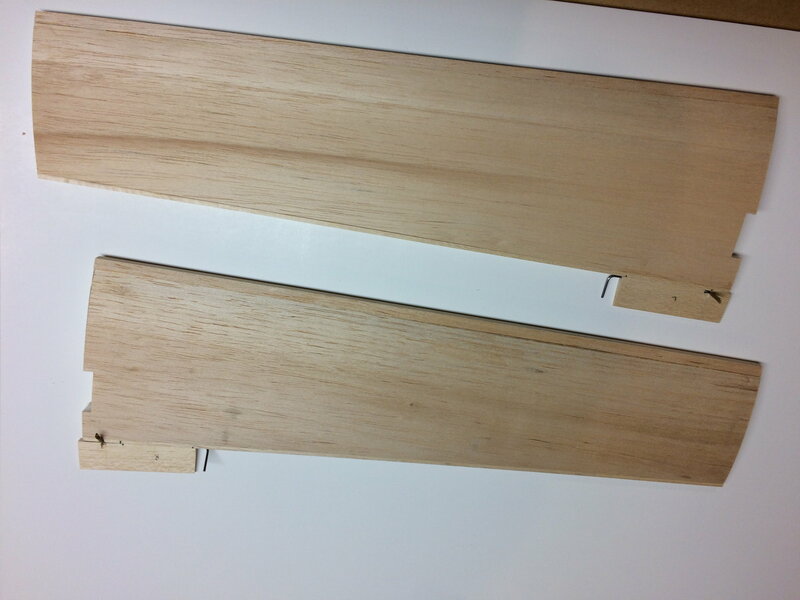 I also made templates for cutting the wing cores. The cores shown in the picture were cut using a homemade hot wire bow and the templates I laser cut. The small mounting plate in the middle of the last image, rectangular and circular cutout, was added after I took the screen shots of the CAD. I almost forgot that the Norvel will need a throttle servo, this plate will accommodate the throttle servo. 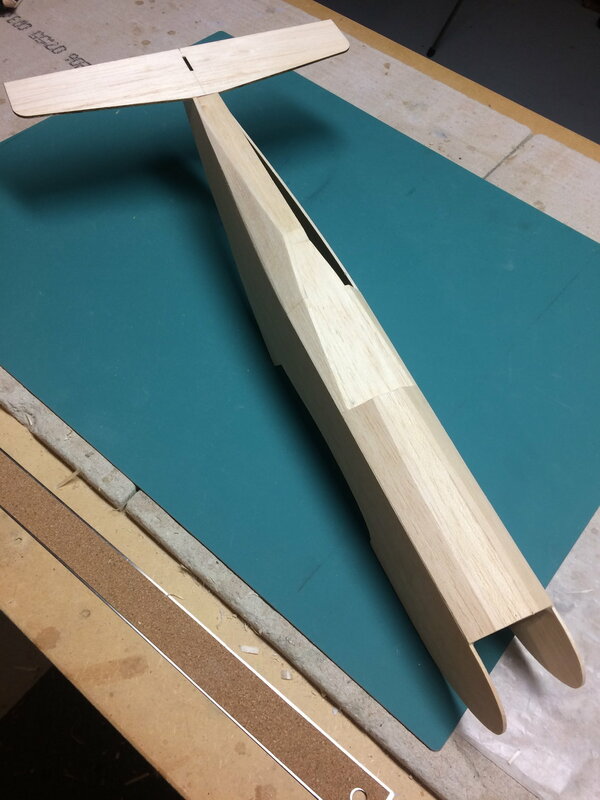 I was about to glue in the firewall when I realized that I need the wing to be completed so I can drill the hole for the 1/8 inch retention peg. 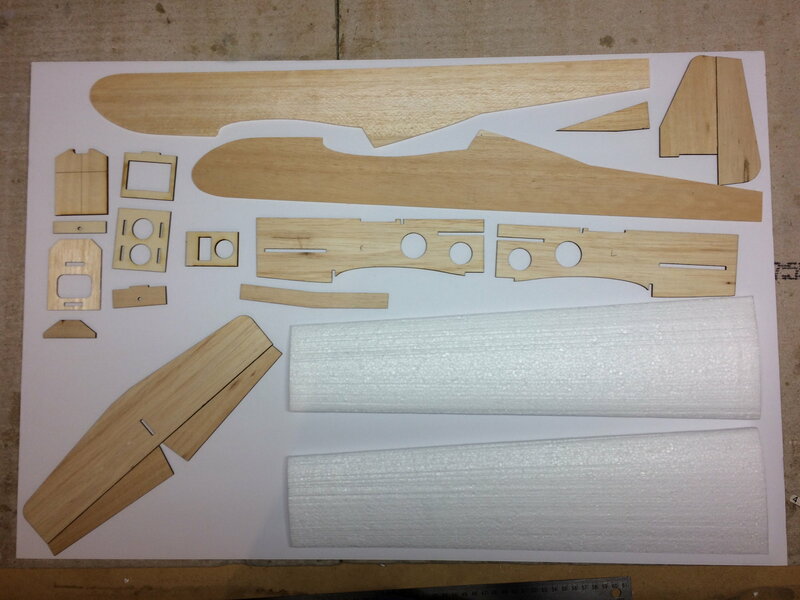 I have put the fuselage aside and will start to build the wing before proceeding any further. Finally had a chance to get back to this build. 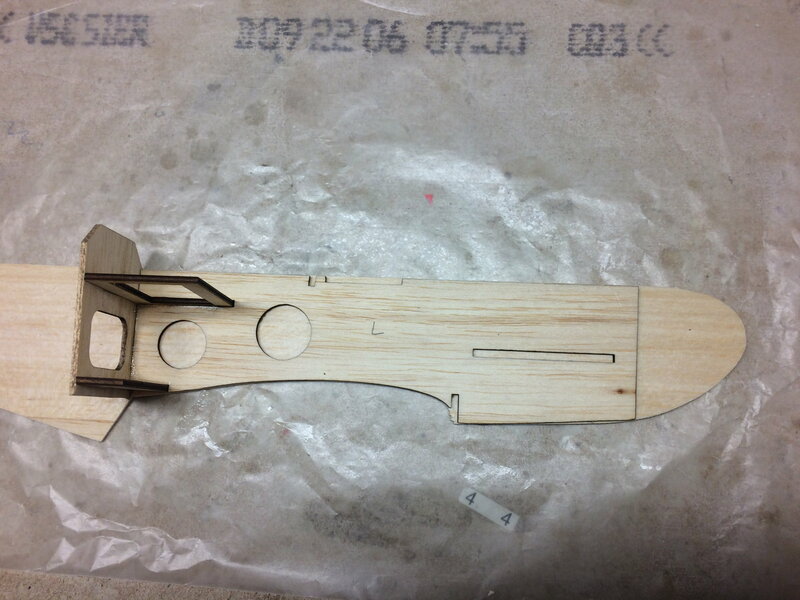 Wing is now glued together and the retention peg is dry fitted. 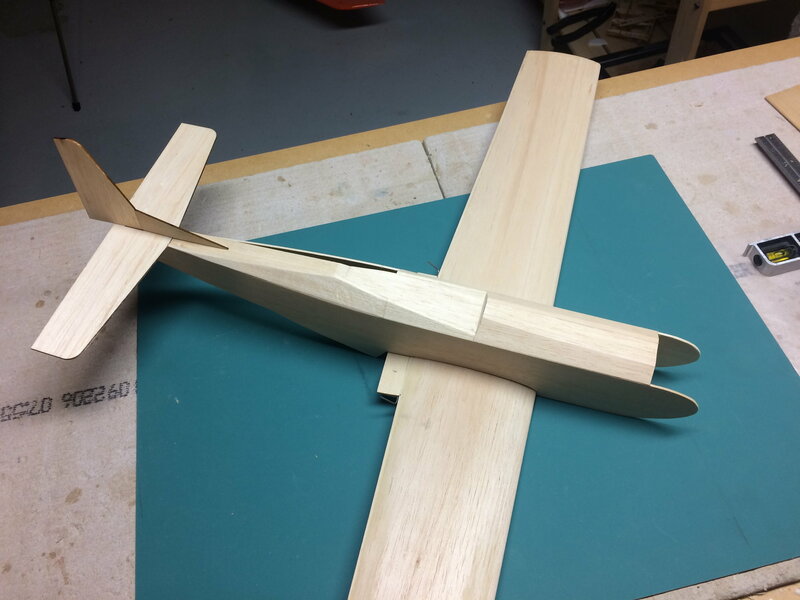 The peg will get glued in after the wing is covered. With the wing all sorted out I have glued in the firewall. The notch at the top is for the fuel lines to pass through. The cross mark was laser etched to help align the engine mount. 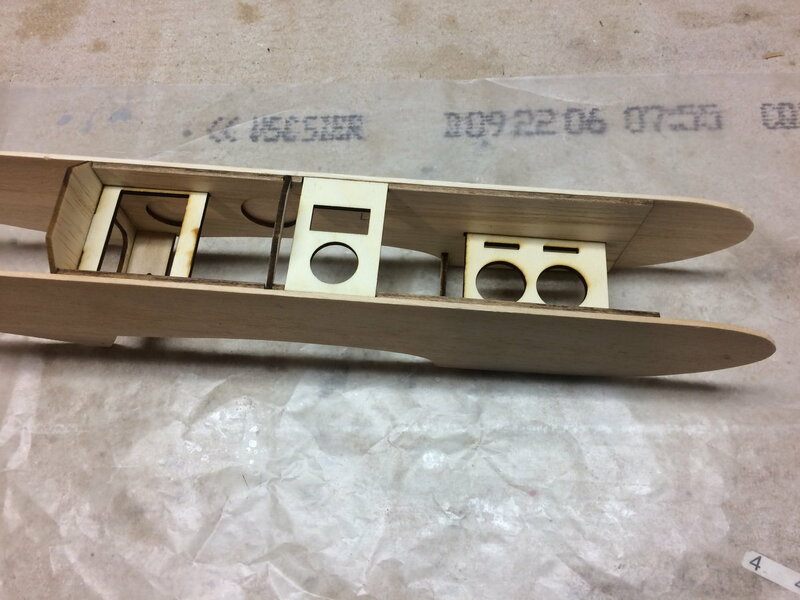 Cockpit floor installed as well as the forward fuselage sheeting. Took a little while to fit each piece, but there on there now. The stab is just resting on the fuse, it hasn't been glued yet. 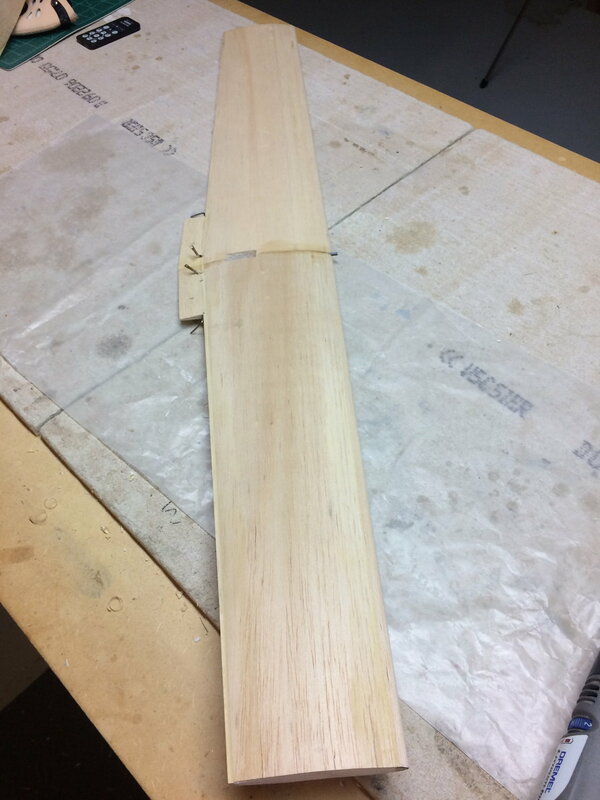 Stab has been aligned and glued in place. The rear, upper fuselage sheeting is almost done. View of the fuselage from the other side. One more piece of sheeting and I'll be ready to start the sheeting of the underside of the fuselage. A view of the fuse with the wings and the fin. 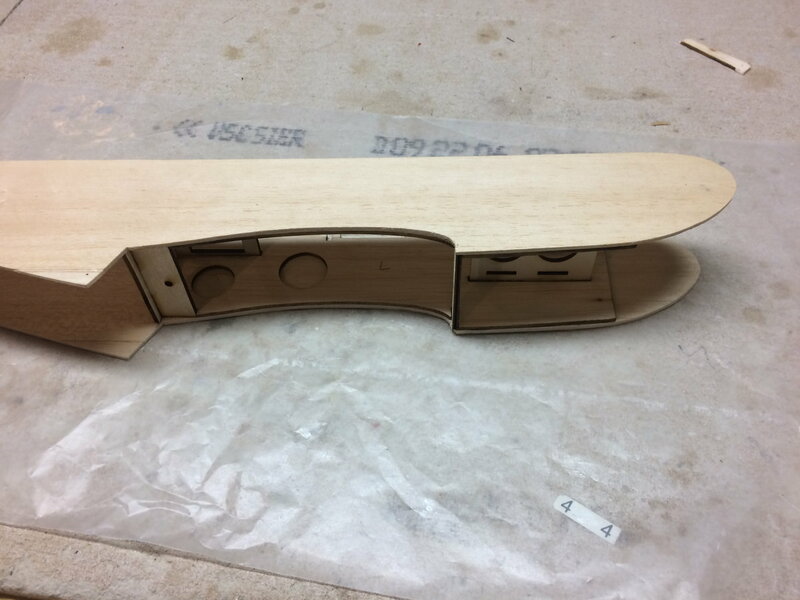 The fin is just resting there, it will be glued on after the fuselage is covered. It's starting to look like an airplane. The next thing I have to figure out how to do is the canopy. I haven't made up my mind yet how I will tackle that. 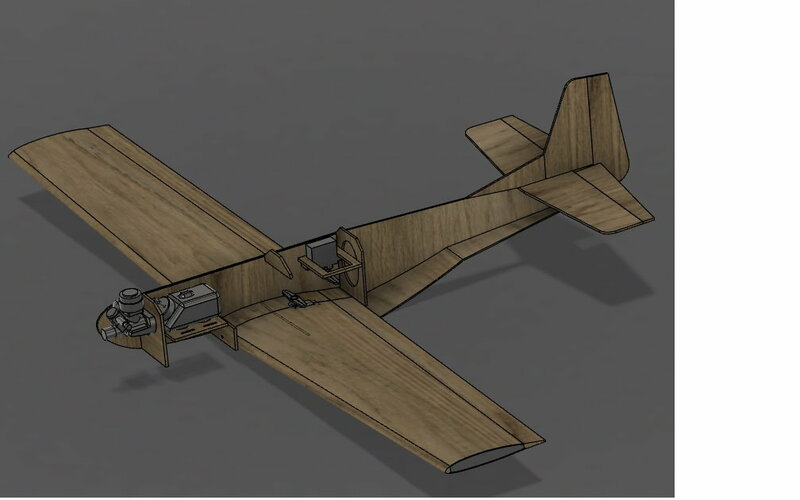 I may have to build a "dummy" fuselage to build a canopy plug and then form a canopy from PET or some other clear plastic. Or i might just carve a "canopy" from a block of foam and paint it blue. We'll see. You should try to go plastic on the canopy, shape the wood form and pull a plastic bottle section over the form with a heat gun. 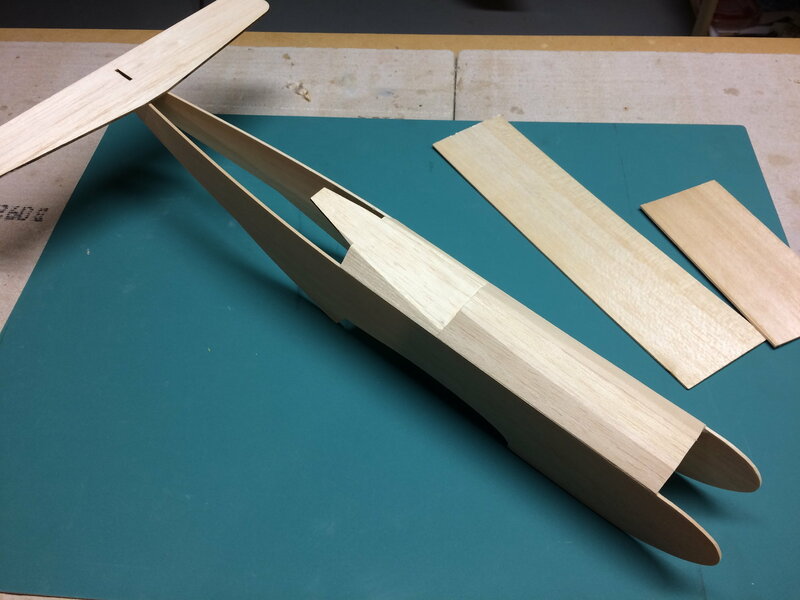 What engine are you going with and what did you use to glue down the wing sheeting? Looking great thank you for sharing here, hope to see a flying vid. I'll definitely look into doing the canopy from a plastic bottle. My mustang will be powered with a Norvel .061 that I've had in my engine drawer for a few years. It's brand new and only my second Norvel engine ever. The first Norvel is mounted to my 1/2A SST, the plane flies very well on that engine from what I remember, I haven't flown that plane in a long time; I really should refurbish that little plane and fly it again. The wing sheeting is glued down with 3M 77 spray adhesive. I would have used the water based contact cement from carl goldberg, but my supply of that stuff is long gone and I din't want to buy a new bottle for this little wing. I also ran a bead of foam safe, medium ca near the leading and trailing edges to make sure they wouldn't lift.